Summary: What is the most valuable resource in your branch? We think the human resource. Find out how to align customer desires with the right mix of employees, training and compensation. Everyone these days seems to be trying to stay healthy. 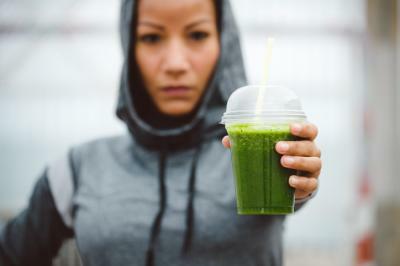 That is why we were surprised to read on AJC that a bottle of Naked green machine juice smoothie has more sugar in it than about 5 Krispy Kreme original glazed donuts. Yum! In banking, there are many surprising things bankers will tell you that have happened in their branches over the years. That is perhaps because the branch is both the most dependable and traditional of community bank delivery channels. It is also arguably the most slow-growing channel for banks. Though many branches can hold their own, all bankers know that traffic has declined with the rapid uptake of online and mobile banking. Still, banks and thrifts operate more than 94,000 US branches so there must be something going on in there. So, what is the most valuable resource in your branch? Of course some will say deposits while others will say loans, but we say it is all about the human resource. Oftentimes, this area is not optimized due to outdated software systems or simply not analyzing the data for this purpose. This may be changing though as more banks start using predictive analytics. This can not only provide a better sense of the flow of foot traffic to various locations, but also can be used internally for workforce management. Banks are naturally data-rich so taking a deeper dive to evaluate the elements of workforce efficiency can be interesting. Look at recruiting, training, compensation, scheduling and retaining perhaps. A Kiran Analytics survey on this finds 57% of senior bank managers had a high or very high commitment to workforce analytics, with the top priorities of acquiring and retaining top talent (70%) and aligning capacity to market opportunities (64%). Predictive analytics is already being used by larger banks to gauge employee attrition, in the same way marketing departments use similar analytics to determine potential customer attrition, according to Kiran. These analytics tools can also be used to align customer desires in particular areas or branches with the right mix of employees and offer services along with sales training and compensation for employees. For instance, the millennial audience expects a new type of branch. They want one where banking specialists book consultations or even visit a customer's home or office to discuss potential loan or deposit products. Knowing this, a bank can specifically hire the skill set needed for more personalized yet also tech savvy service for this particular customer demographic. Indeed, while there is a movement to replace specific bank positions with an all-encompassing "universal banker", some research indicates that these jacks-of-all-trades may not be the best fit for all branches and customer demands. Rather than retraining all branch staff as universal bankers, you might want to consider using the knowledge and analysis of your markets, staff and customers to assess which employees may make the best ones (or fit better in another role) and where they could be placed to best help your bank's customers. This may sound like a daunting project, yet small steps can be taken. You can begin by looking at your current profitability data to see where your gaps may be. Then, map out what skill sets you will need based on customer behavior and plan your recruitment and compensation accordingly. In the end, workforce optimization with the help of predictive analytics may help keep your branch relevant and efficient - even in this highly digital age. Yields bumped up 3bp amid a weak 7Y note sale. Facebook Messenger now allows users to send peer-to-peer payments to each other using PayPal, along with a chatbot to handle password resets, account and payment issues. Reuters reports JPMorgan has introduced a new smartphone app called Finn by Chase. The app is focused on attracting young depositors in non-branch areas and allows the flexibility to open an account, make deposits, issue checks, track spending and other things. The Hackett Group reports digital transformation of finance and treasury groups is expected to cut costs 20% to 35% and will likely cut errors up to 66%. They also project it will allow for more analysis and smarter decisions by reducing the time employees in these units spend on data collection by 24%. Bank of America is adding another security layer to its online banking services to help protect users against growing cyber risks. The bank said it will enable fingerprint touch payments next year and allow Apple's FaceID function on new phones to authenticate users. Congress voted to overturn a CFPB rule that eliminated arbitration clauses from bank contracts and made it easier for consumers to sue banks.